This luxury full-service co-op has a full time doorman, a beautiful landscaped courtyard and roof deck, private storage, a bike room and a laundry room. 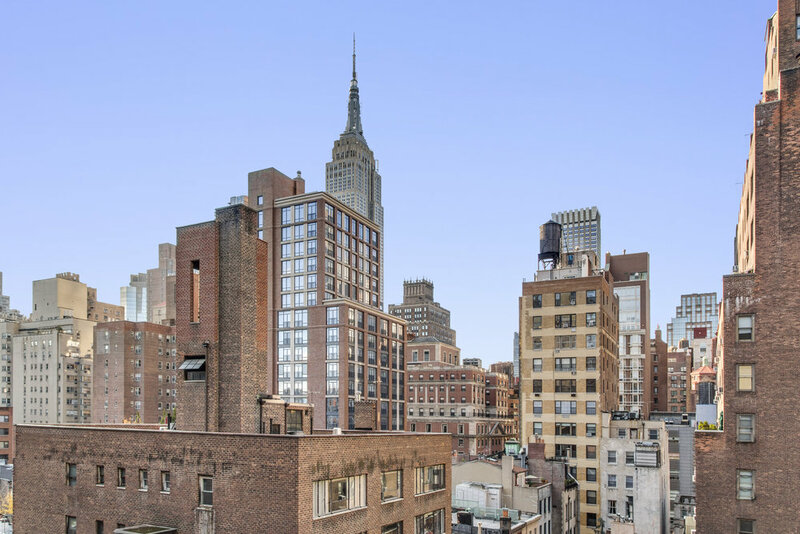 This studio has it all–open living and dining areas perfect for entertaining, a gut renovated kitchen with state of the art appliances and granite countertops, a renovated bathroom, and open views of the iconic New York skyline complete with the Empire State Building. Large, west-facing windows bathe this fabulous space in sunlight. This lovely studio boasts hardwood floors, dining area, separate dressing area, an elegant yet modern murphy bed (potentially included in the sale of the apartment), and plenty of closet space and storage. Located in the heart of Manhattan steps away from Grand Central Station, wonderful restaurants, shops and proximate to public transportation. This luxury full-service co-op has a full time doorman, a beautiful landscaped courtyard and roof deck, private storage, a bike room and a laundry room. The building allows pied-a-terres, co-purchases, guarantors, parents buying and sublets. The hallways and lobby will be renovated in the coming months at no additional cost to residents. Call us today to see this gem!